These are some of the words I heard during a presscon in Quezon City today with Governor Emilio Ramon ER Ejercito. 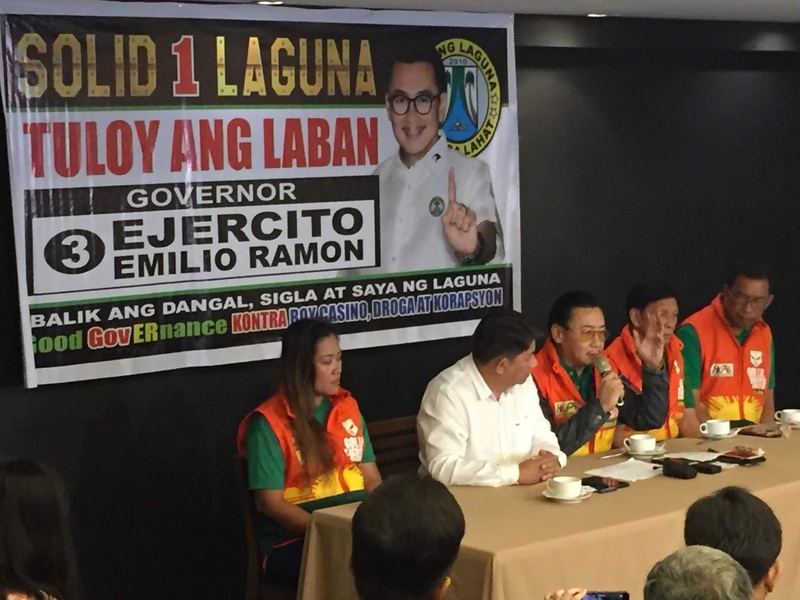 News came out that Sandiganbayan guilty of graft for anomalous insurance plans when he was still Mayor of Pagsanjan, a progressive tourism town in Laguna. In an article published in news outlets, the said anti graft court sentenced him to prison for 6-8 years and said to perpetually disqualify him from holding any public office. According to a statement by his legal counsel Atty. Larry Gadon, he is not disqualified and attributed this case to Noynoy Aquino loyalists. In the same paper, they claim he isn’t disqualified to run and that the Sandiganbayan decision is not final and executory. He has paid bail amounting to Php 30,600 and will be appealed at the Supreme Court, then says the social media fake news is black propaganda. 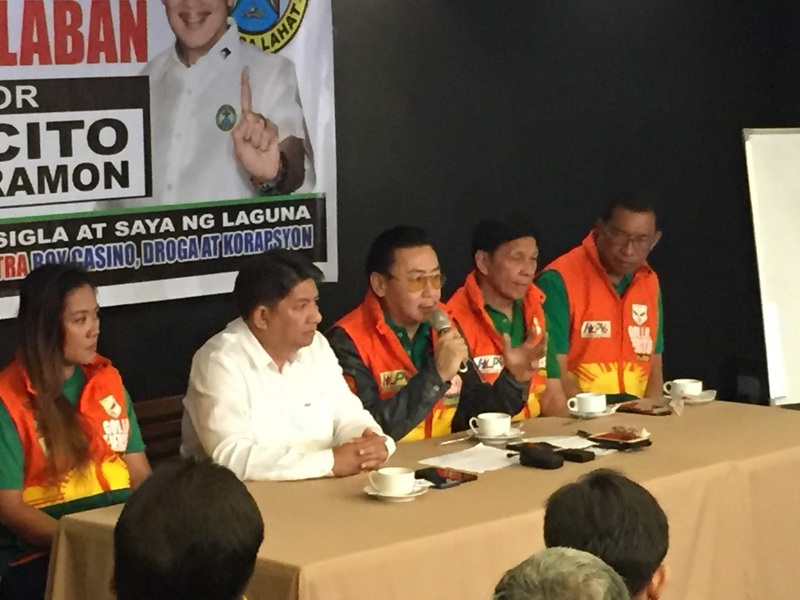 According to their statement, it was initially dismissed by the Ombudsman and reopened by the Sandiganbayan in 2016 to harass him during the elections on the same year. The Accident Protection Assistance Program was for tourists and boatmen who may get hurt while shooting the rapids of Pagsanjan Falls, of which they all say was part of their sustained rescue and assistance program for the local government of Pagsanjan. 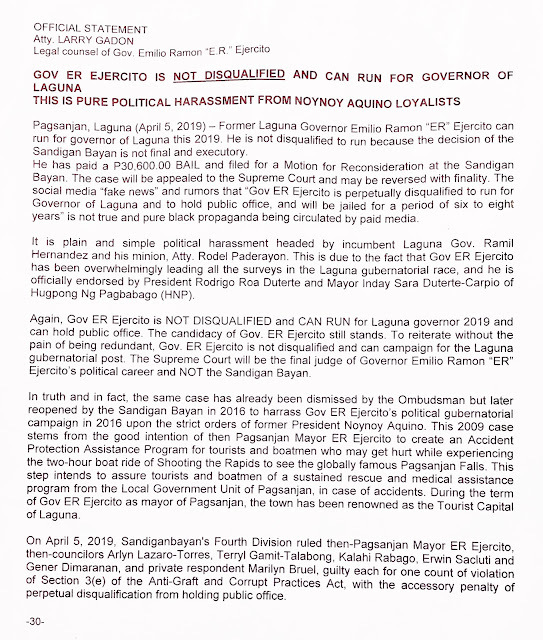 The ruling came out on April 5, 2019 and included Mayor ER, former councilor Arlyn Lazaro - Torres, Terryl Gamit - Talabong, Kalahi Rabago, Erwin Sacluti, Gener Dimaranan and a certain private respondent Marilyn Bruel. They were charged with one count of violation of Section 3(e) of the Anti Graft and Corrupt Practices act that has got an accessory penalty of perpetual disqualification from holding public office. 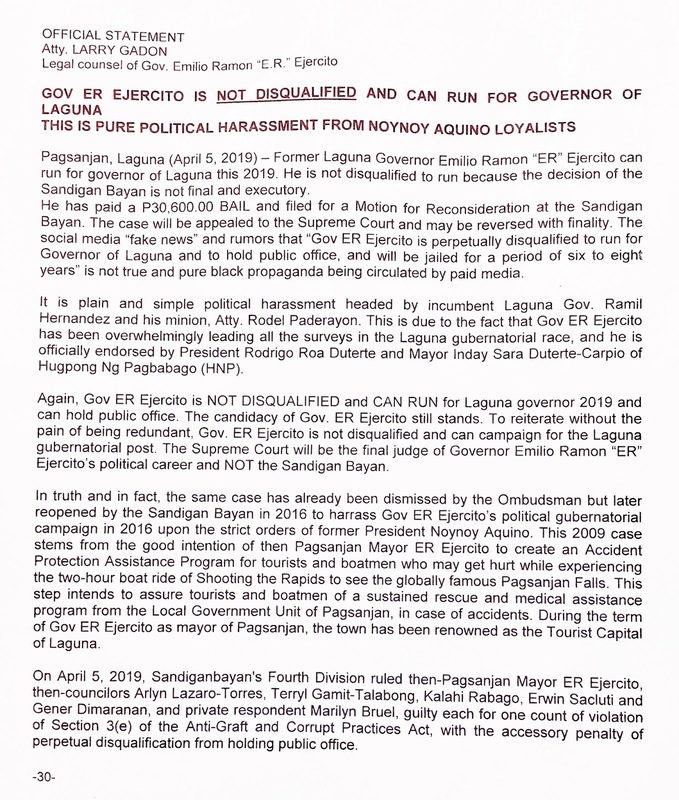 This is certainly worrying for the Laguna folks who would be looking at this case closely.